Here is a very good song, showcasing the vocal artistry of the great singer Frank Ifield. 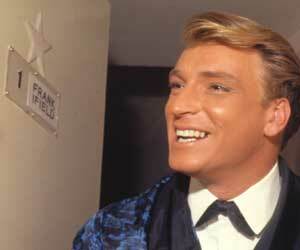 Frank Ifield (born in 1937) is an Australian/English country music singer. He was born in Coventry, England and moved with his Australian parents to Dural, 30 miles from Sydney, in about 1946. It was a rural district and he listened to Hillbilly music (now called Country) while milking the cows. He learned how to yodel in imitation of country stars like Hank Snow. At the age of 13 he recorded "Did You See My Daddy Over There? ", and by the age of 19 was the number one recording star in Australia and New Zealand. He returned to the UK in 1959. He first record in Britain was "Lucky Devil" (1960) which only got to number 22. His next six records were less successful, but he finally broke through with "I Remember You" in 1962. It has been said this was the first record to sell one million copies within the UK alone. His next single was a double A-side: "Lovesick Blues" (originally sung by Hank Williams) and "She Taught Me How To Yodel", a virtuoso piece of yodelling with the final verse sung at double-speed. His next hit, "Wayward Wind", made him the first person to reach number one three times in succession. In 1963 he had a hit with "I Remember You" and sang at the Grand Ole Opry, introduced by one of his heroes, Hank Snow. 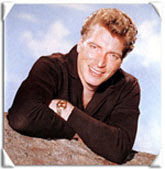 Frank Ifield was the second artist to score a hat-trick of (consecutive) #1 singles in the UK charts, the only other by that point was Elvis Presley. Ifield toured the UK, supported by The Beatles. They released an album called "'Jolly What' England's Greatest Recording Stars: The Beatles and Frank Ifield on Stage" on February 26, 1964. This consists of four studio recordings of the Beatles plus eight recordings of Ifield. The original pressing has a drawing of a chubby old man with a moustache, and is itself quite rare. Then the sleeve cover was changed to a drawing of the Beatles. Probably less than 100 copies were pressed. It is the rarest Beatles album. 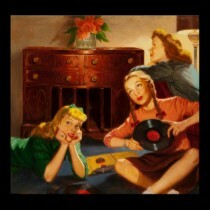 Three sealed stereo copies were discovered in 1976. The first copy sold for 600 dollars, the second for 900 and the third for 1 800 dollars. One of the three was sold in 1995 for 22 000 dollars! 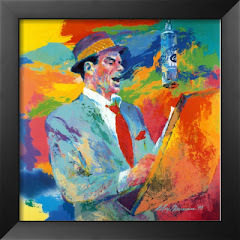 Listen to Frank's warm voice, with a great range and to his vocal jugglery and enjoy! And here is a wonderful medley from the Ed Sullivan Show.